We covered the Aquapac waterproof MP3 case last year, it’s a great way to protect your player whilst out near water. Aquaoac have now released another product which enables you listen to your favourite tunes whilst swimming, with the 100% Waterproof Headphones. Now water-lovers need not worry about ruining their headphones any more. 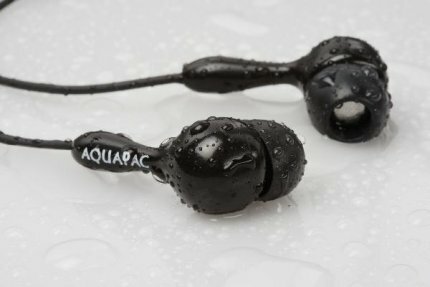 Aquapac 100% Waterproof Headphones give great sound quality whilst allowing users to listen to music in and around water. The perfect accessory for the Aquapac MP3 Player case. “All year people have been asking for waterproof headphones. It took time to get the quality we needed, but we reckon we can now offer headphones that work better – both above and below the waterline – than anything else on the market.” Tim Turnbull, Chief Executive of Aquapac. More info on the AquaPac site (now where’s our review model :)). Or you can try Pioneer’s waterproof headphones for a lot less – how’s $19 sound?